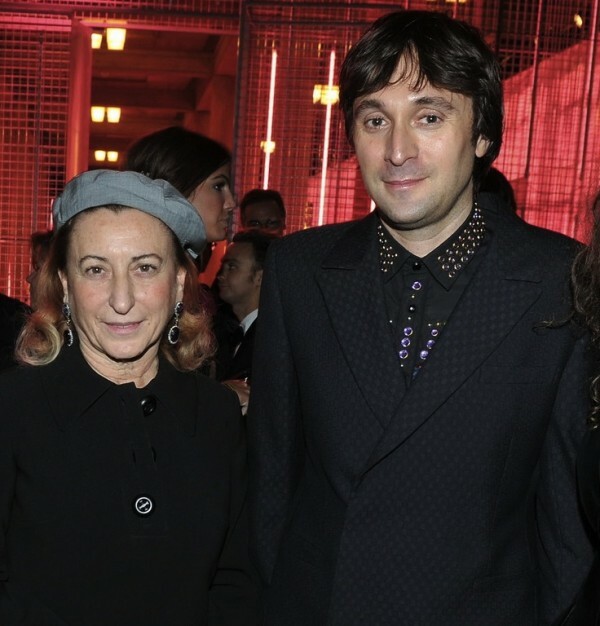 Welcome to Prada’s “24 h Museum“, designed by Francesco Vezzoli with AMO, Rem Koolhaas‘ think tank. It has been open in Paris for 24 hours only, from yesterday till today in the historic Palais d’Iéna, the building designed by Auguste Perret between 1936 and 1946, today home of CESE (Conseil Economique, Social et Environnemental), the French ‘third Chamber’. 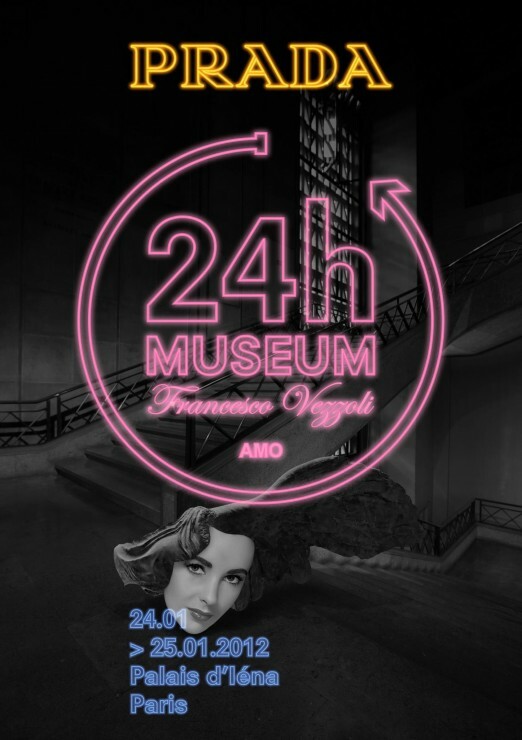 AMO’s installation for the “24 h Museum“ is divided in three sections, each inspired by a particular type of museum space: historic, contemporary and forgotten. The three sections are instrument to the sequence of events that take place during 24 hours in different areas of the ground floor of the Palais d’Iéna. 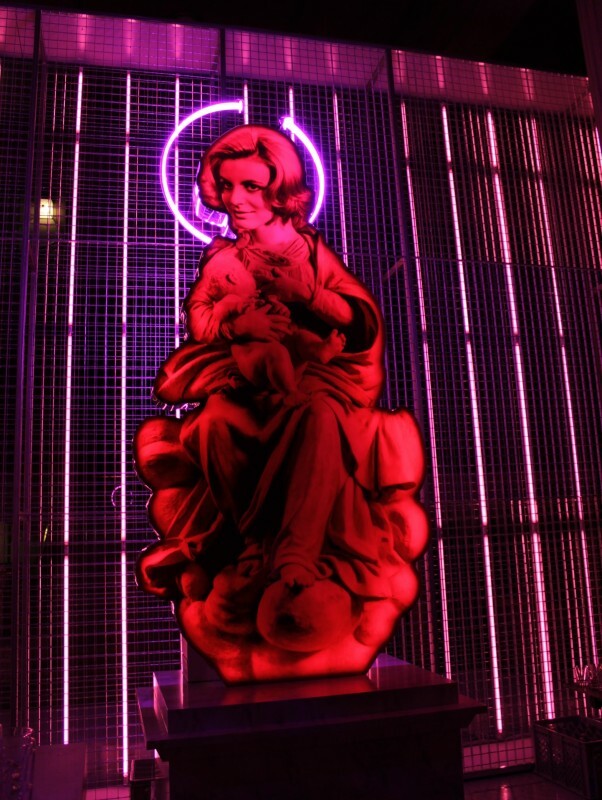 The central space is a large metal cage made from grills and neon lights that encloses the work by Francesco Vezzoli. In the three sections – historic, contemporary and forgotten – Vezzoli is creating a “non-existent museum“ where he shows his personal tribute to the eternal allure of femininity through interpretations of classical sculptures that make reference to contemporary divas. At the top of the stairway, epicentre of the building, Vezzoli is placing a majestic sculpture of a female, reinterpreted with the features of a mysterious goddess. 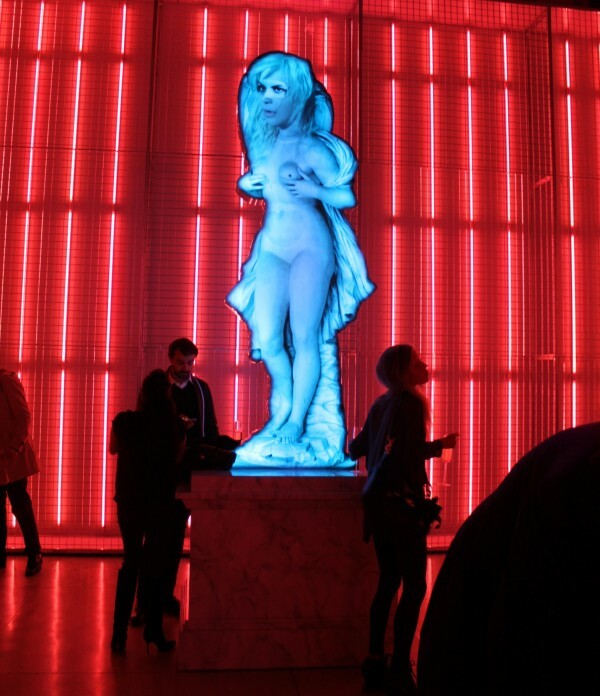 Vezzoli’s vision is of a museum that exists for just 24 hours and which is also a celebration of a collective rite that mixes visitors, red-carpet, Oedipus’ complex and night visions. 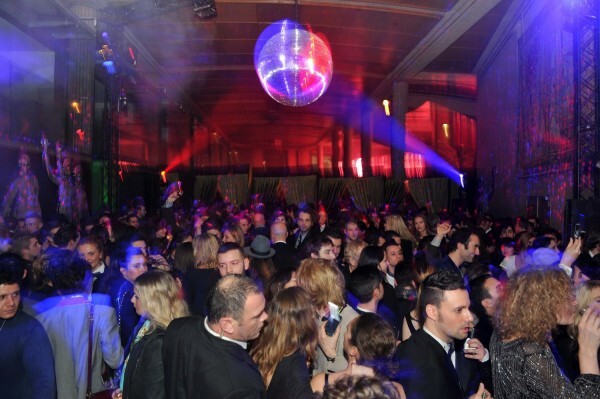 Yesterday night, the museum turned into a disco-club where I spotted Kate Moss who was djing and Dita von Teese who was rushing through the exhibition. Different events will be following the next few hours. 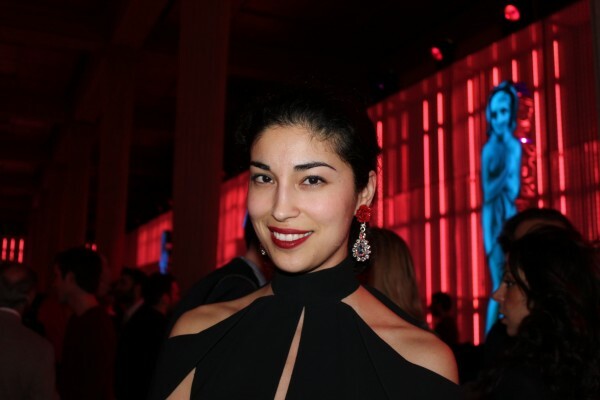 Don’t we just love Caroline Issa’s Prada earrings?! 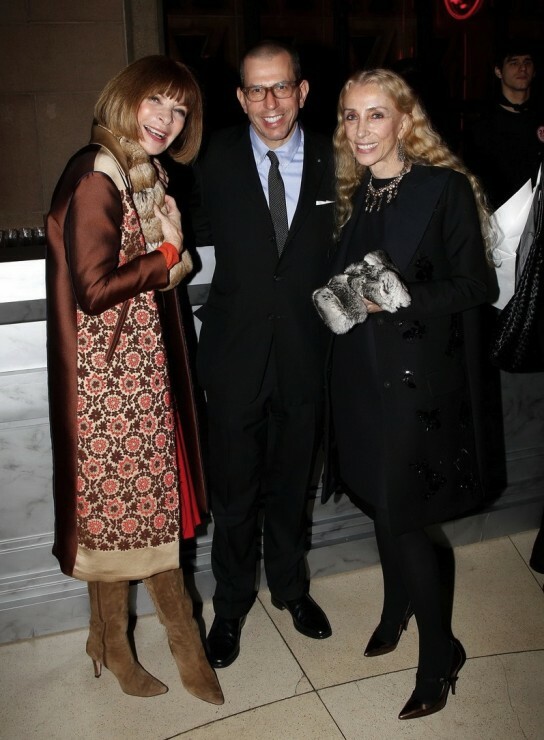 A very special moment: A happy Anna Wintour with Jonathan Newhouse and Franca Sozzani.